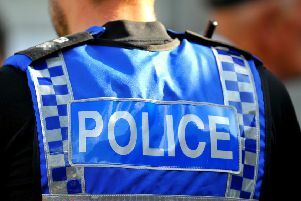 Two robbers have been making their way into a number of houses in Northampton by asking for a drink before making threats and stealing cash. The robberies took place between Tuesday, April 3, and Saturday, April 14 at various locations across Northampton where the offenders have forced entry into people’s properties or gained entry by asking for a drink. They have then made threats and stolen cash before making off. A Northamptonshire Police spokeswoman said: "One of the offenders is described as a white woman, about 6ft, aged 25-30, with long dark hair. "She wears dark trousers and a dark jacket with a hood. "Another offender is described as a black man, aged 20-30, about 5ft 9in, of slim to medium build with some facial hair, a thick moustache and short black hair."